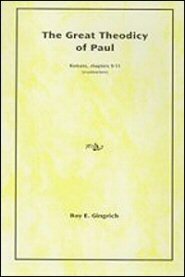 In this outstanding work, Mr. Gingrich provides the reader with a clear commentary on Paul’s answers to the questions concerning the nation of Israel during the Church Age. Mr. Gingrich’s years of study and dedication to God’s service is evident throughout this book. It will be an asset to the scholar and the layman alike.